We looked at Weber State taking down Portland State, but there were three other games in the Big Sky on Saturday, so let's take a look at them. 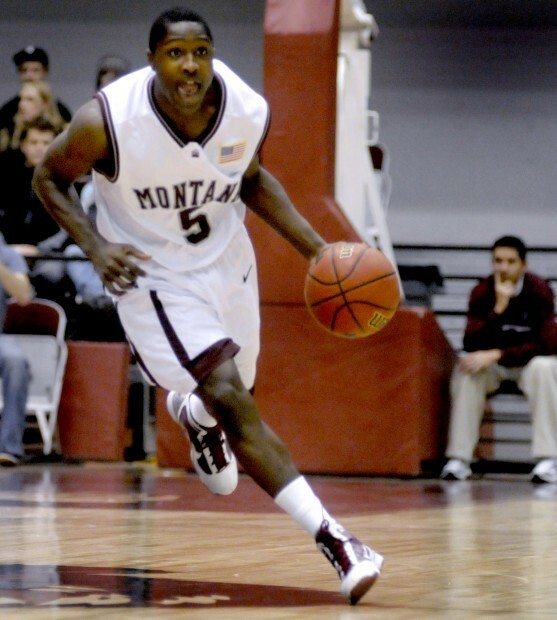 Montana came out firing and never really had a problem with Idaho State, winning 68-44 in Pocatello. They jumped out to a 36-18 lead, and continued their stellar play in the second half. It was the Montana defense of old, as they help ISU to 37% shooting and 21 turnovers. 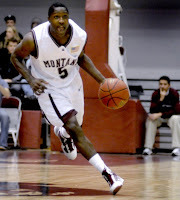 All five starters scored in double figures for the Griz, led by Will Cherry's 15 points (and 4 steals). Montana shot 60% from the field. The only questionable thing for the Grizzlies in this game was that it seemed like with the game so comfortably in hand they could have gotten the freshmen some more playing time, but they didn't really do that. Still, it's hard to argue with much. For Idaho State, Melvin Morgan had 15 points, Chase Grabau had 14, and the rest of the team combined for 15. However, the PG Morgan had an A:TO ratio of 1:7, and it's fair to say he might not be the playmaker they hoped he would be. Meanwhile, if there was any doubt who was #2 in the Big Sky right now, there shouldn't be any more. Montana is clearly up there, and their game next Saturday in Ogden will be a great battle. Eastern Washington was coming off of a tough home loss to Weber State, after which it came out that Collin Chiverton has been playing all year with a fractured foot, but it seemed like a visit from Northern Arizona was just what they needed to get back on track. The Eagles trailed the Lumberjacks by 4 at the break, but came out firing in the second half, outscoring NAU 49-28 en route to a 76-59 win. Cliff Colimon led the team with 22 points and 6 assists, and he is simply playing at a very high level right now. I thought EWU might pound it down low a bit more, but it was Colimon that was their star. Collin Chiverton also had a big impact, proving a spark in his 14 minutes, scoring 12 points. Northern Arizona got solid days from James Douglas (17 points) and Durrell Norman (12 points, 7 rebounds), but they couldn't get stops in the second half. They fall to 1-3 in the Big Sky, while EWU goes to 2-2. Eastern Washington will now have three games in five games, with road league games against Sacramento State and Northern Colorado (of which I will be in attendance), and then a non-league road game against Seattle. Knowing what we know about Chiverton's foot, I would expect him to try and play the two conference games, and then sit against Seattle. It is starting to be danger time for Sacramento State after they dropped a home game to Northern Colorado, 61-53. The Hornets are now 0-3 in conference play and the only team with a victory, while UNC improves to 2-1 in the Big Sky. What was especially troublesome for the Hornets (and on the flip side, impressive for the Bears), is that UNC won without much of an impact from their two leading scorer. Paul Garnica stayed home to nurse some injuries, while Tate Unruh, battling an ankle sprain, was just 1/4 from the field. Tevin Svihovec led the way with 16 points, 4 rebounds, 3 assists, and 4 steals, a career-high for him. But it was their defense that led the way. The Hornets shot 39% from the field, and could not get things going. They scored 27 points in the first half, and 26 in the second half. They had three guys in double figures, but it was not enough to overcome the Bears. For the Hornets, a promising non-conference record seems far in the past. Anything I missed from the weekend?